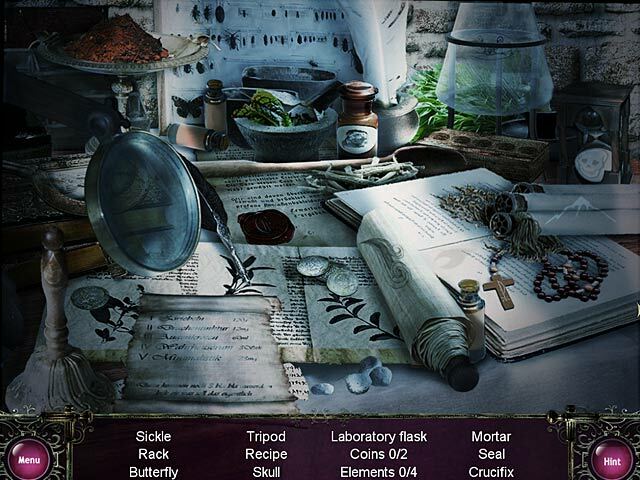 Travel to Florence and treat your old friend’s mysterious illness in Borgia: Faith and Fear! Basilius Valentius is a medic from the monastery of Camaldoli who is off to tend to his friend Lorenzo. Shortly after arriving, however, Lorenzo dies and Basilius discovers evidence suggesting foul play. Determined to find the culprit, Basilius begins a dangerous mission. Discover the truth and survive a power struggle in 15th century Rome in Borgia: Faith and Fear! Borgia: Faith and Fear is rated 1.6 out of 5 by 69. Rated 5 out of 5 by fairlind from I liked this game a lot I see I'm in the minority, but to me this was one of the best games BF has to offer. It plays like a docudrama, with voiceover during clips. The biggest sell for me is how well it immersed me in the period. The graphics were sharp, with colors and lighting that didn't poke my eyes out, and there was no trace of the coyness that has become the unfortunate standard in HO games. It was a tad hard to keep track of the characters at times, but otherwise the it was a good detective story, with a monk as the detective. There are a couple of minor glitches, and the lack of walkthrough can be a problem. Some solutions are available in the forums. But some of the things people are calling bad gameplay are part of the puzzle that they hadn't solved yet. Ultimately none of them are unsolvable. In one instance you may have to click slightly to the right of the targets (keyholes) in order to hit them If you value the scenery at least as much as the gameplay, play the demo and see for yourself. I'm glad I didn't pass up this game. 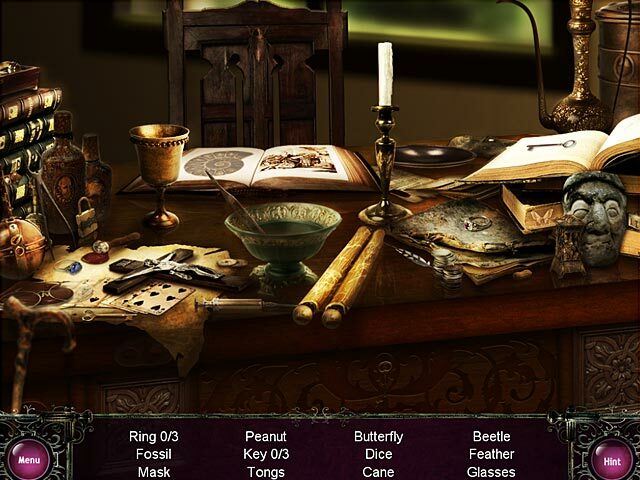 Rated 4 out of 5 by BlackWaterRules from Fun Hidden Object Adventure The soundtrack was excellent with haunting violins and great voice overs. The graphics were beautiful. H.O. scenes were crisp and bright on my monitor. They were extremely challenging. The minipuzzles were extremely difficult but that's part of the fun of playing games. Rated 4 out of 5 by annabelle05 from I enjoyed this game! Well, unlike all the previous reviews, i actually enjoyed this game. I was so anxious to try this new one as I was getting to tired of the dark, gloomy HOGs involving abandoned asylums, crumbling, decaying mansions with spiders, snakes and cobwebs, this was a nice change. I liked the HOS and had no problem with the size and I have poor eyesight. I liked the challenge of never really knowing what to do next but was always able to figure it out. I like this one. I completed the demo and unless a brighter HOG comes out soon, I will buy this one. Rated 4 out of 5 by cathyok from This is a wonderful game. I really liked both the story and the puzzles unlike all the other people who reviewed the game and hated it. I love these old time settings based loosely on history. After reading the reviews which are nice to have I would suggest you give it a try for yourself. You may find you like it too. Rated 3 out of 5 by coolang1989 from OK GAME This game has a interesting dialogue and the HO scenes were not that hard. However I have played much better games than this one. The scenes were kind of dark except for outside. This game had so much potential. It could have been a lot more fun to play. It for me was kind of boring so I only played the Demo. Rated 3 out of 5 by Lionsun from A game for historians. The story is one of the most interesting I met since now on pc games.Infact I would encourage to have more of real history game ,this will unable people to learn a lot about past history. Nevertheless all the rest, sound, graphics ,fun and challenge are not up to the story.They are very mediocre and poor. Such a pity! I would have enjoyed this game so much if only it was better in what mentioned above. Rated 3 out of 5 by mammalulu from no excitement I DIDNT CARE AT ALL FOR THIS GAME. WILL NOT RECOMEND IT. 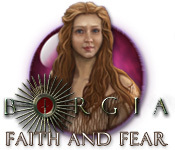 Rated 2 out of 5 by pennmom36 from Borgia: Faith and Fear I can say with faith that I fear this game isn't much fun. The reason is because the graphics are so poor that finding the items becomes frustrating thus no fun. I didn't even finish the demo in all honesty. You are given a single item to find at a time such as a letter, then a robe then a bag etc. Once you find all of those items you play a mini game in which you must fit several items into the bag by placing the items in a grid formation. If the item fits into the space you chose the cells would turn green if it doesn't fit the cells are red and I was surprised by the size of many items such as a wooden spoon (why does he pack a spoon in the first place) the spoon took up two squares deep by several long when it would seem the spoon would only take up a single cell depth. 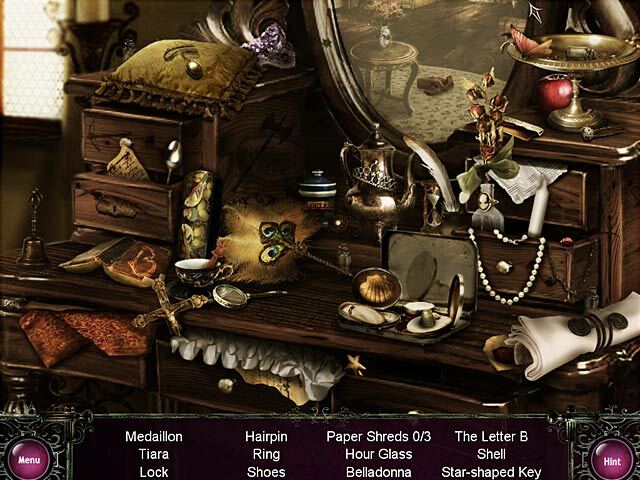 Then you "search" the desk which is a Hidden Object Game. This was really difficult due to the even poorer graphics than the game itself. Finding 4 elements is not easy when you can barely tell what the items are, to make matters worse I kept searching for a rack which turned out to be a brick! I just can't recommend this game, I didn't enjoy this game at all, sorry. Travel to Florence and treat your old friend’s mysterious illness in Borgia: Faith and Fear!